International Day of Older Persons (IDOP) celebrates the contribution older people continue to make to societies across the world. It also provides a regular opportunity for advocates to raise awareness around key areas of concern in ageing: poverty, the pandemic of loneliness, and the growing incidence of elder abuse. 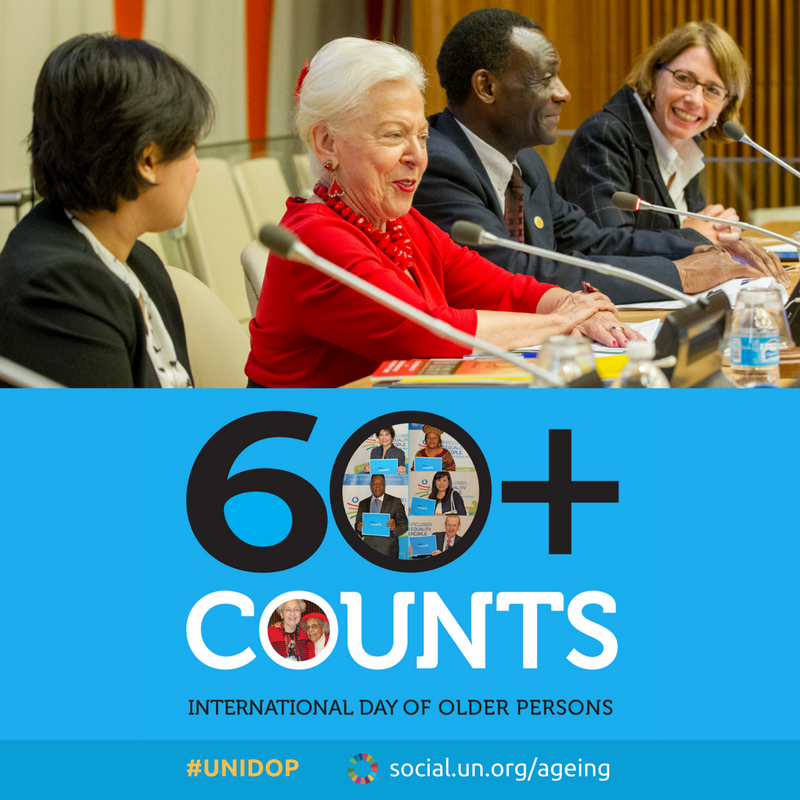 Today’s IDOP will recognise Street’s generation and the role older people continue to play in advancing human rights across the globe. It also provides an opportunity to continue to talk about the human rights abuses experienced by older Australians in residential aged care settings, as this blog did a few weeks ago. The ABC’s recent Four Corners investigation into the residential aged care sector revealed horrific examples of the maltreatment of older people, and that this is only the tip of a very dirty iceberg has been recognised by PM Scott Morrison’s announcement of a royal commission into aged care. While the parameters of the royal commission are yet to be confirmed, something it is likely to reveal is the gendered nature of abuse in aged care – something not explicitly articulated in Who Cares? but at least evident in the balance of case studies showing overwhelming abuse of older women. This is due partly to the fact the women make up a 70% majority of residents of aged care. This statistic can’t be separated from the fact that women face distinct disadvantage in ageing in Australia. Women in Australia face significant systemic barriers to wealth accumulation across the lifecourse, and these impact through both financial and health disadvantage in older age. We become more vulnerable to exploitation through our “simultaneous membership in the categories of old and women”, which make us a “devalued and marginalised group”. Despite living longer on average than men, women experience a higher number of chronic and debilitating health conditions such as osteoporosis and dementia, which means that our residential aged care population is primarily women over 80 with high care needs. In this year of #MeToo and #WhyIDidn’tReport, it is critical that we understand that older women are also at risk of sexual abuse and that – as with child sexual abuse – institutional settings provide particular risk factors that support abuse going unrecognised and unreported. While there is a woeful lack of research around older women’s experiences of abuse and assault in general (including intimate partner violence), we do know that in 2015-16 alone, there were over 400 reports of alleged or suspected unlawful sexual contact in aged care in Australia – shocking figures alone but even more so in the context of likelihood of significant under-reporting. In aged care settings, we know that the reporting system for complaints is woefully bureaucratic and ineffective. Justice is often not served or even seen to be served. Who Cares? showed how low staffing ratios, the dynamics of power and control, and fear of consequences can provide a febrile breeding ground for abuse. For older victims of sexual assault there will be additional and significant barriers to reporting assault. Older women in general are less to report sexual crimes due to feelings of shame and not knowing help and support is available. They are also unlikely to feel empowered to speak out or seek support through social media hashtags. Research from 2014 known as Norma’s Project also showed a number of situational risk factors contribute to sexual assault in residential settings: the lack of formal mechanisms for reporting, delays in police being involved, and victim impairment in communication and cognition. Even where older women do speak out, tragically, many won’t live long enough to see justice served. The statistics show that sexual abuse in older age is strongly aligned with poorer overall health outcomes and reduced life expectancy. If we are to guarantee the human rights of older people in Australia, we can’t shy away from the gendered experience of residential abuse or the taboo of the sexual abuse of older women. We need to start with an aged care workforce that is trained to recognise and respond to suspected sexual assaults. But really, we need to move away from institutional care settings with their perverse tendencies to abuse, towards an aged care model that keeps older people embedded within the broader community. So, on this International Day of Older Persons 2018, let’s celebrate older champions of human rights. But let’s also shine a light on the Right to Life, Liberty, Personal Security of older people, particularly older women, enshrined in Article 3 of the UDHR 80 years ago.